An electric actuator designed for load requirements up to 135 in lbs. This is a compact actuator designed for small space areas. The PZ Series has a NEMA 4/4X environmental rating, comes standard with an ISO5211 F03/F05 mounting pattern and a 14 mm double-square female drive shaft...making this an ideal actuator for small valve and damper applications. 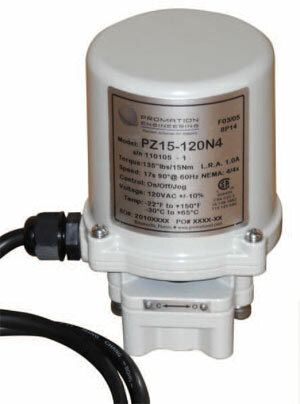 The unit is available in 24 VAC, 120 VAC and 230 VAC supply voltages. 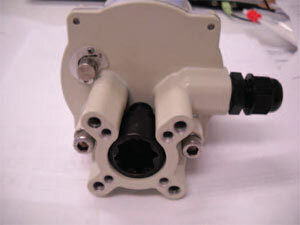 The PZ is available as an on/off/jog actuator. Auxiliary switches, heaters, and proportional control cards are not available in this series.